* good news from the small reprint house Hermes Press. They'll be publishing one of those giant history books that also serves as an art book -- a hybrid format used by Fantagraphics and IDW a bunch over the last half-decade. Their subject is Alex Raymond, and their historian is Ron Goulart. It's fully licensed from King Features and should be 300 pages with 400 illustrations. 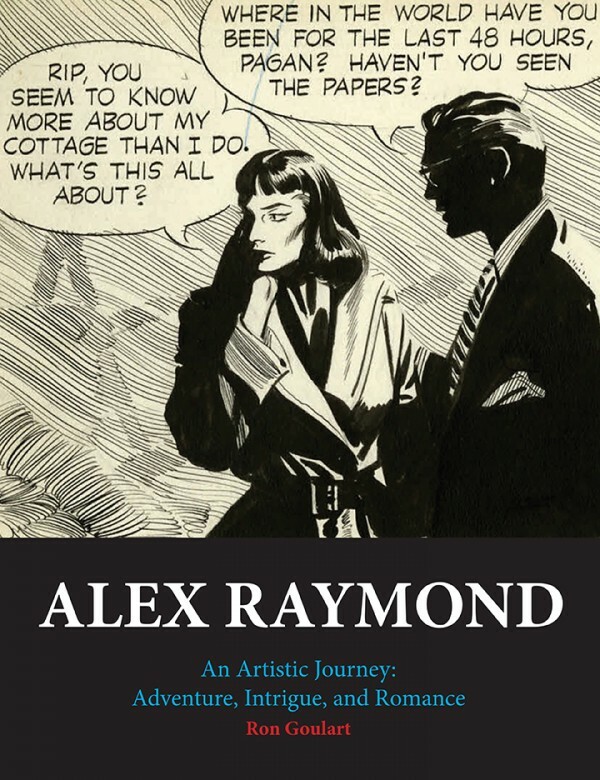 Alex Raymond: An Artistic Journey: Adventure, Intrigue and Romance wil be out in October and will retail for $75. Please get me one for Christmas. * here's an interesting story I didn't catch; we don't get a lot of distribution news because of the dominance of Diamond as pretty much the Direct Market distributor of note. Apparently, Study Group Comic Books will be releasing their first three books through that system: Titan #1, It Will All Hurt #2 and The Secret Voice #2. I think there's a lot of work to be done if we express a desire as a sales sub-culture to bring the alt-comic, but this is a step in that direction. I think it's a really great way to read comics, but I'm very old. * the writer Geoff Johns talks about plans for the forthcoming Justice League storyline "Darkseid War." There's some interesting stuff in there that's not just PR teaser: Johns talks about doing an event title without the overlapping series sprawl, and about the New Gods characters more generally. Those are great characters, and despite being used pretty much all the time the overall concept is still something of a hidden strength for that company. I think Johns is on the right track when he talks about a character set up to oppose Darkseid that does so by avoiding combat and conflict, which sounds to me closer to Kirby's conception of those characters as an anti-war parable than what's been done with them by a lot of creators since. * finally, the previous version of this post's final subgraph was deleted for the sake of accuracy, after about four to five hours of being up. We regret any confusion that's resulted. 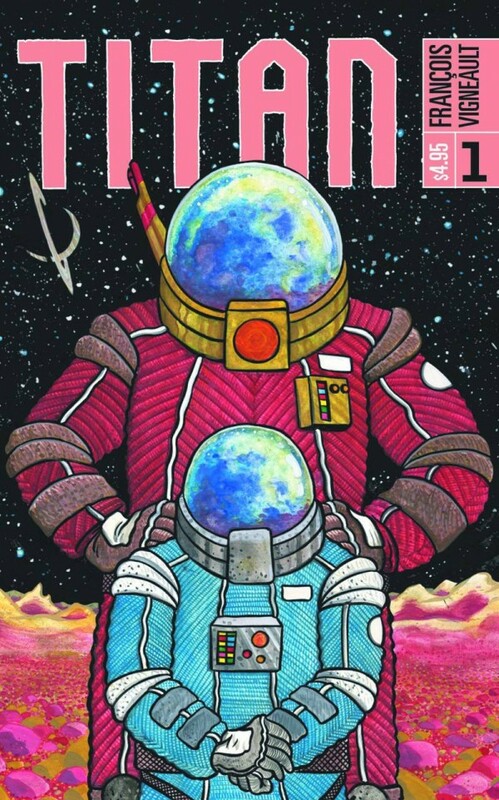 Here instead is an image of Francois Vigneault's Titan #1 cover.